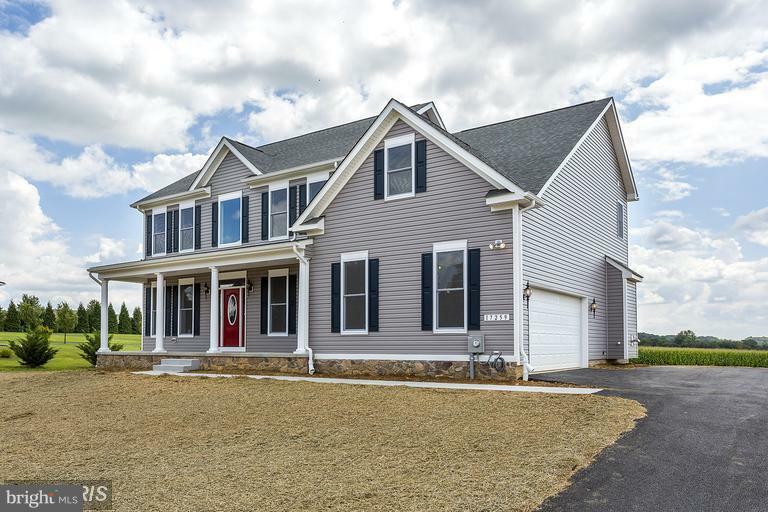 All Sykesville homes currently listed for sale in Sykesville as of 04/23/2019 are shown below. You can change the search criteria at any time by pressing the 'Change Search' button below. 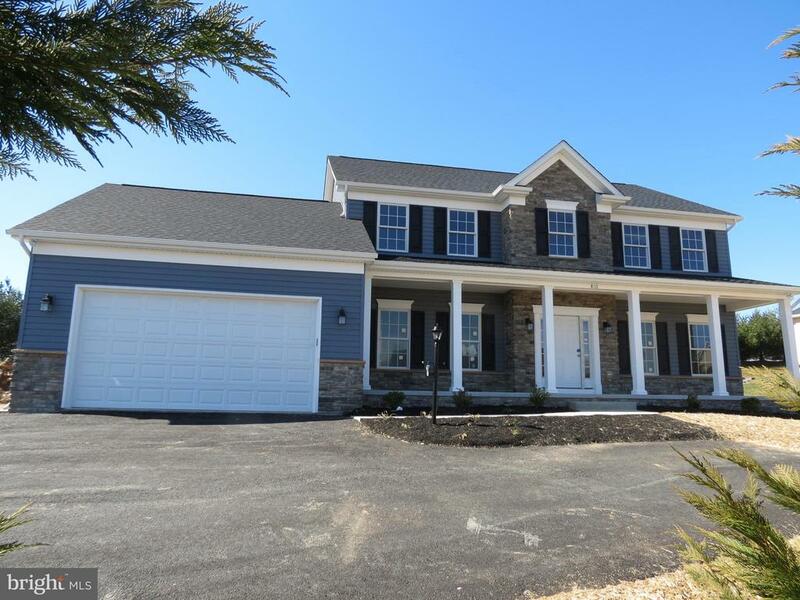 If you have any questions or you would like more information about any Sykesville homes for sale or other Sykesville real estate, please contact us and one of our knowledgeable Sykesville REALTORS® would be pleased to assist you. 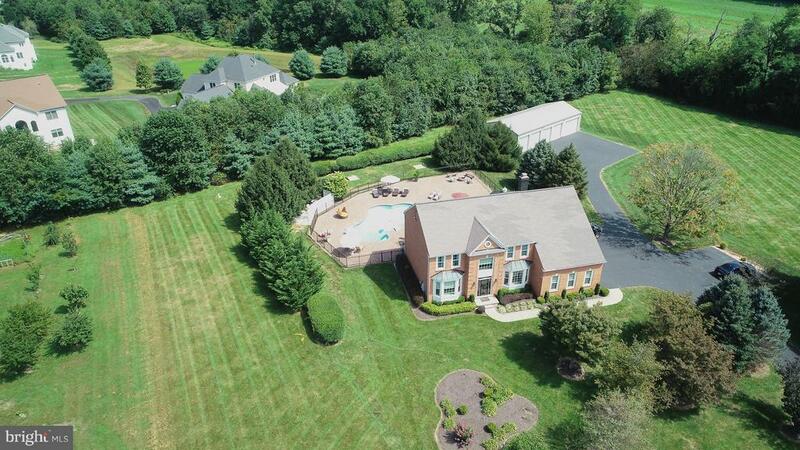 "BACK ON MARKET 4/20 - PLEASE CONTACT LISTING AGENT WITH ALL INQUIRES OR SHOWINGS***FANTASTIC SETTING FOR THIS COMPLETELY UPDATED BRICK COLONIAL SET ON 3+ PRIVATE ACRES IN WILLOW SPRINGS* AMAZING INTERIOR & EXTERIOR SPACES WITH UPGRADES THROUGHOUT* EXTENSIVE HARDSCAPE INCLUDING A HEATED SALTWATER POOL & SCREENED HOT TUB GAZEBO* PERFECT PRIVATE END OF CUL-DE-SAC LOCATION WITH A SEPARATE 5-BAY DETACHED POLE BARN/GARAGE - IDEAL FOR THE CAR BUFF OR IN-HOME CONTRACTOR BUSINESS* BEAUTIFUL NEW KITCHEN WITH TOP OF THE LINE APPLIANCES/CABINETS & COUNTERS* NEW WIDE PLANK WALNUT FLOORING ENTIRE MAIN LEVEL* OPEN MASTER SUITE COMPLETELY THAT YOU WILL NOT WANT TO LEAVE!! FULL FINISHED BASEMENT WITH BED #5/FULL BATH & HUGE REC ROOM AREA* THIS HOME HAS EVERYTHING AND MORE!! A+"
"This stylish residence is nestled on a sprawling lot surrounded by tranquil gardens & stunning hardscaped features! MD Bluestone walkways welcome you inside to find a gourmet KIT w/breakfast room. 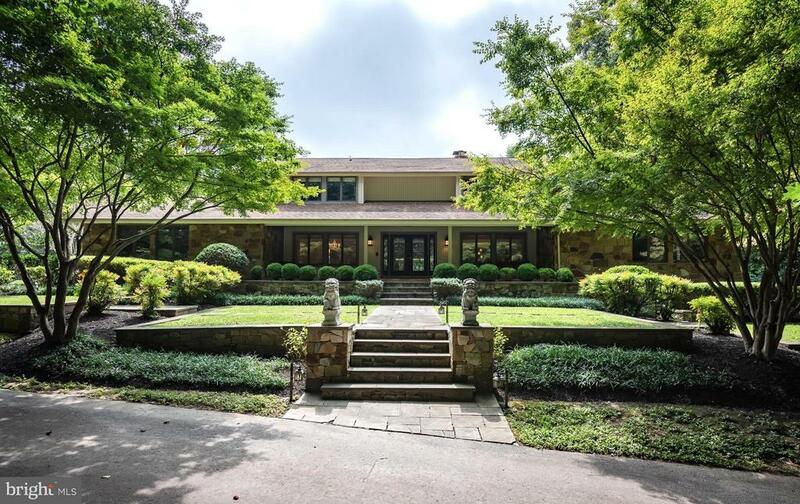 Family room w/15' vaulted ceiling, 2-sided FP & access to outdoor entertaining areas; grilling gazebo, covered patio areas, in-ground pool & intriguing Japanese spa house w/open air shoji sliders!" 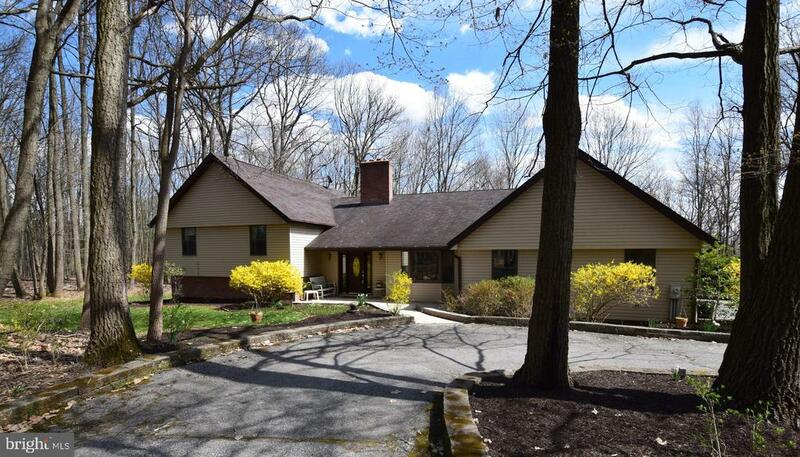 "Open House this Sunday 4/14 1-4 pm. New Custom Home, fully loaded in sought after Waters Edge subdivision. Much larger than appears from exterior. In desirable Century High School district. Featuring Andersen tilt windows, oak split staircase, 5 hardwood floors, Buyer to choose carpeting for bedrooms and finished lower level, granite kitchen counters, ceramic tile back splash, huge island/breakfast bar, under cabinet lighting, soft close cabinetry with double roll out trays, trash/re-cycling drawer Maytag SS appliances, gas cooktop, double ovens, built-in microwave, dishwasher, garbage disposal, butler's pantry with wet bar, HUGE walk-in pantry, mudroom, built-in speakers, 1st floor library or 5th bedroom with dual access full bath, owner's suite with tray ceiling, 2 Huge walk-in closets, Luxury owner's bath with dual headed huge custom walk-in shower, with niches, Buddy bath & bedroom with private bath, walk-in closets in all upstairs bedrooms, 2nd floor laundry room. Huge partially finished lower level with 9' walls, recreation room, full bath, plus den w/closet. Plus more basement area can be finished. Double door exit walk up & windows, gives extra light. MHBR#802 $5K to buyer closing w/use of builder recommended lender. Natural gas heat, public water & sewer, NO HOA or City Tax. Builder offering $5k towards Buyers closing with use of their recommended lender. MHBR #802"
"Stunning expansion & upgrades in this 5000+ sq. ft. home featuring an open kitchen w/ Wolf 6 burner cooktop, extended granite breakfast bar, morning room & family room that overlooks a saltwater pool & fenced backyard, private deck off of the master bedroom, hardwood floors on the main level, flex space on main & lower levels.True in-law suite w/2nd kitchen in the lower level. Large workshop areas. Garage space for 2 cars, plus a separate 1 car garage for storage. 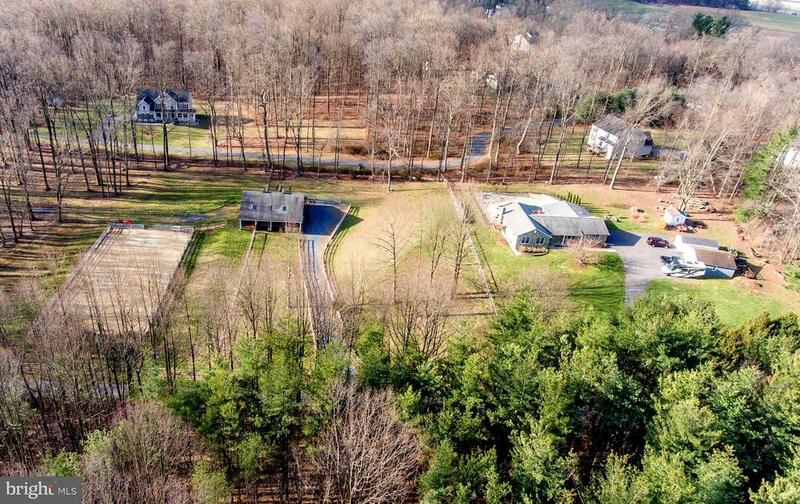 Center aisle barn with tack room & feed room, water, electric, Dutch doors, grooming areas, custom run single paddocks, field paddocks & dressage size sand arena. Great for hobbyists/car & animal lovers oasis. Close to historic downtown Sykesville with shops & quaint restaurants. Near River Road park entrance to the Patapsco Park system. Great location, great schools!" 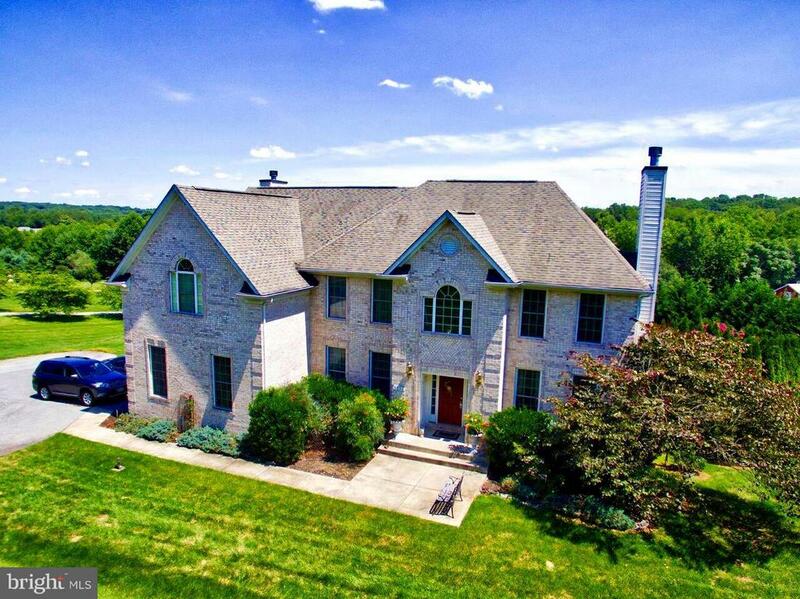 "Striking Howard County home built for efficiency privately nestled in 3.5+ acres of stunning views from every angle. Step through custom doors in your foyer to marvel at soaring windows and roaring ceilings overlooking manicured yard and sightlines that brings nature to life. Large 1st floor master bedroom and bath, Gourmet kitchen, 4 Bed, 3 car garage, ample closet, shelving, and storage space!" "Remarkable masterpiece nestled on 3.5 private sprawling acres boasting an in ground pool, expansive deck and a covered front entry. An elegant two story foyer welcomes you inside this stunning residence, highlighting pristine hardwood floors, decorative lighting, sundrenched windows, crown molding, architectural detailed features, and an exceptional open floor plan. Prepare gourmet meals in the tastefully updated kitchen complemented with a center island, quartz counters, stainless steel appliances, tiled backsplash, breakfast bar, wet bar and a casual dining area. Enjoy your morning cup of java out in the sunroom graced with a phenomenal view of the pool. The gorgeous great room offers a wood burning fireplace, a soaring ceiling, and built-in shelving, the perfect place for movie night. Retreat to the main level master suite adorned with a wood burning fireplace expansive walk-in closet with its own washer and dryer, and a luxurious master bath with double vanities, separate shower, and a jetted soaking tub to relax your cares away. A second laundry room, full bath with deck and pool access, powder room, and a mudroom conclude the amazing main level. Ascend upstairs to find three generously sized bedrooms; walk-in closet and a full bath complete the upper level sleeping quarters. The inviting deck overlooks an in-ground pool and the ultimate scenic setting. Property Updates 2010-2019: roof, kitchen, quartz counters, Brazilian cherry hardwood floors in great room, water heater, HVAC (in master bedroom wing) water purification system including Sterilite UV System and pool re-plastering. This amazing property has spared no expense and awaits your arrival"
"Wonderfully appointed all brick colonial home features a main floor bedroom and full bath, Au-pair suite and luxurious master suite with sitting area and wet bar. 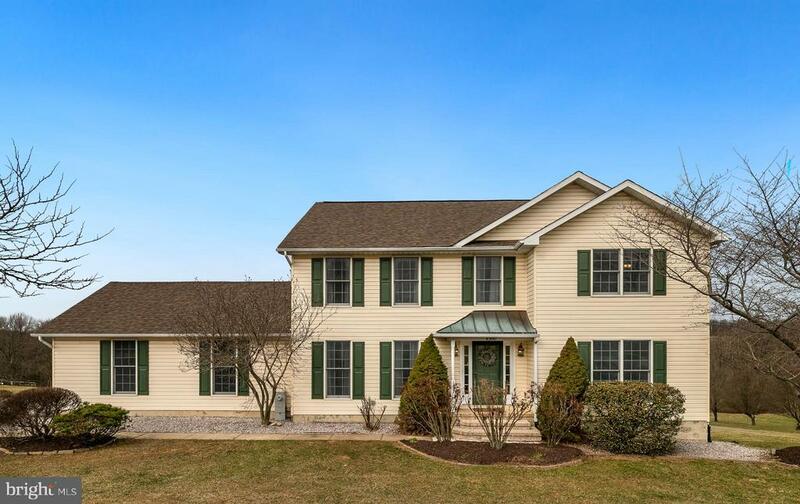 The lower level is finished with a full bar and temperature controlled wine room coupled with the heated in-ground pool makes this home an entertainers delight with room to roam on it's 7.5 acres while close to all the urban amenities"
"Gorgeous transitional colonial 4 bedroom home in Sykesville, Md. Almost 4000 sq ft of living space with 2 story foyer and family room, beautiful wood floors throughout, gourmet kitchen with maple cabinets, ceramic tile floor and breakfast bar overlooking the sunny breakfast room. 3 car garage with heat system, formal dining and living rooms, gas fireplace in family room, first floor office and more. Master suite with trey ceilings lighted, 2 walk-in closets and superbath with whirlpool tub and separate shower. Large unfinished walk out basement ready for you to finish. One shed in rear yard stays. And so much more. See the 3D virtual tour." 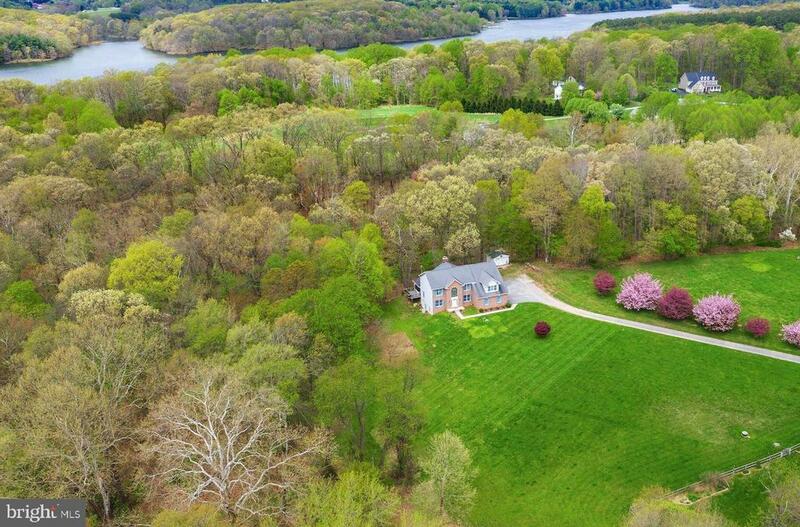 "A hidden Gem in the heart of Sykesville on 4.75 acres of beautiful landscaped gardens with yearly blooms, manicured lawns, and expansive green space for any kind of play. This Gorgeous historic home circa 1870 holds plenty of charm &beautiful finishes!Sprawling LR entry gives way to open gourmet KIT/dining w/soapstone counters,marble island,luxe appliances &beamed cathedrals!CozyFamRM w/tin crown mouldings,woodstove &built-in bar for entertaining! From entertaining inside to opening the expansive sliders to your outdoor escape. Paver patio and walkways through gardens, in-ground pool,open firepit and all at the end of a cul-de-sac to hike a trail to Piney Run Park. 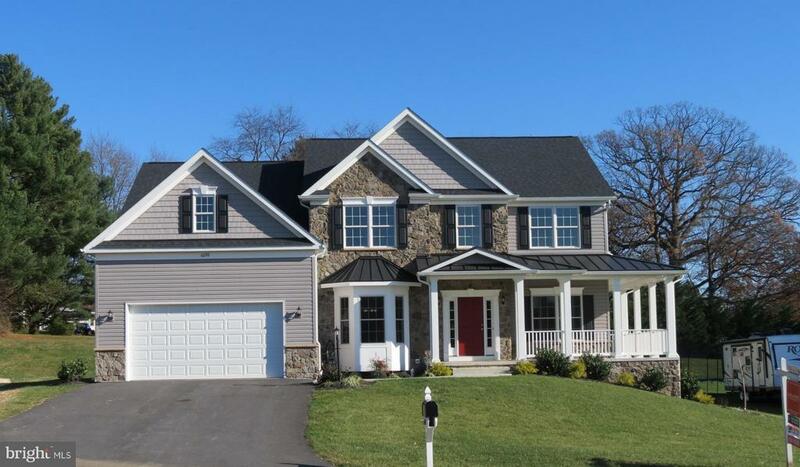 This is home in a private setting in the middle of Sykesville. Let's tour today!" "Must see the new look created by the many recent up-dates including new appliances, granite counters and fresh paint. 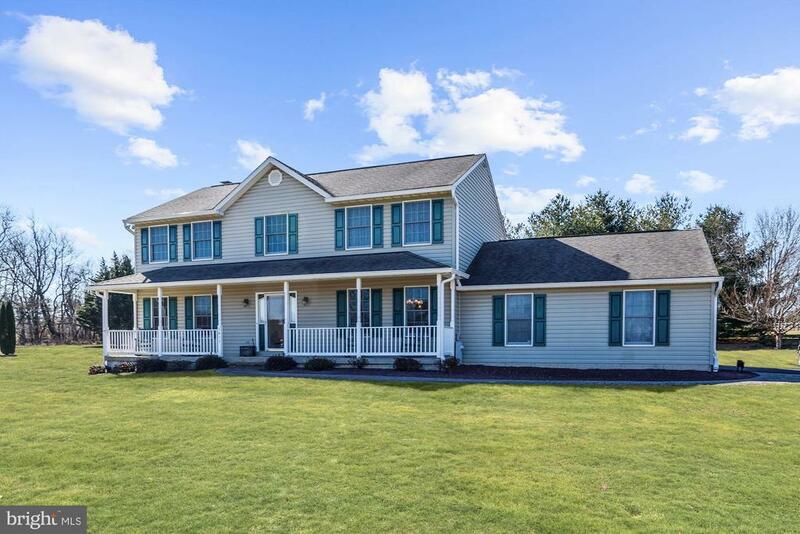 With nearly 5000 sq ft of finished space on over 2 acres backing to Forest Conservation, this luxuriously appointed colonial offers a huge Master Suite with sitting room and Master Super Bath w/jetted tub plus 3 additional sizable upper Bdrms. First floor features - Library, Dining Rm with tray ceiling, 2 fireplaces, Hardwoods, gourmet kitchen & sunken Family Room. Completely finished basement with 9 foot ceilings, full Bath, 5th Bedroom/Movie Room and walks-out to Patio adjoining Multi-level deck." "GREAT OPPORTUNITY TO OWN THIS CUSTOM STONE RANCHER WITH OVER 2362 SQUARE FEET ON MAIN HOUSE AND SEPARATE GUEST HOUSE/BONUS ROOM OR POSSIBLE HOME OFFICE SPACE WITH AND ADDITIONAL 1000 SQUARE FEET OF LIVING SPACE. - UNLIMITED POSSIBILITIES. PREMIUM LEVEL LOT AT THEN END OF QUIET STREET. LIMITED VIEW OF PINEY RUN LAKE IN THE FALL. OVER 3 ACRES OF PARADISE. OVER 2300 SQFT ON EACH LEVEL. HARDWOOD FLOORS, NEW ANDERSON WINDOWS WITH TINT 2018 , NEW ROOF 2018, FINISHED LOWER LEVEL, INGROUND POOL. GUEST HOUSE IS APPROXIMATELY 1000 SQFT. OF LIVING AREA W/ VAULTED CEILINGS , STONE FIREPLACE AND OVERSIZED GARAGE WITH TWO HUGE BAYS. NEW CARPETING JUST INSTALLED. PROPERTY SOLD AS-IS. GREAT PROPERTY FOR HOME BUSINESS OR CAR ENTHUSIAST. LOTS OF PARKING FOR RV'S AND MORE"
"Fantastic Location for commuters in Howard County just off Route 32 and I-70. Tax record is not correct. The old home was removed and construction can start now. Check out the photos on line to get ideas of what your new home can look like. Call today for deals.Lot also be offered without house for $249900 no builder tie in. Photos are examples of what Cumberland can do for you. Call Today!" "Open House this Sunday 4/14 1-4 pm, stop by spec home at 6698 Chateau Bay Ct to gain access. New Custom Home, quick settlement, will have cultured stone accents on front of home, extra paved parking areas, Buyers to choose carpeting, Andersen tilt-in windows & slider, LR or Study, 1st flr laundry rm, gas fireplace, soft close cabinets, granite counters, breakfast bar, SS appliances, stove pipe hood vent, wall oven, 5 burner gas range, microwave, sunroom w/cathedral ceiling, HW floors foyer, library, kitchen, sunroom & family rm. MBR tray ceiling, luxury bath, large ceramic tiled baths, h. bath 2 sinks, double door bsmt exit, full bath r-in. MHBR # 802, Buyer pays all Doc/TT $5k to CC w/restr. Public water & sewer, natural gas heat. No HOA. Other lots available. MHBR #802"
"GREAT NEW PRICE! 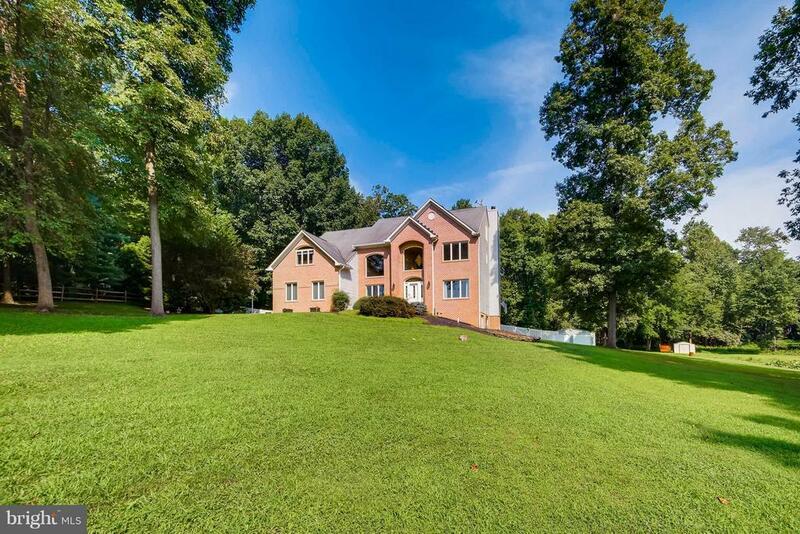 Nature Lovers Paradise -Premium 3.16 acre lot that backs to Piney Run Park with lake access. Enjoy hiking, fishing, kayaking right in your back yard. 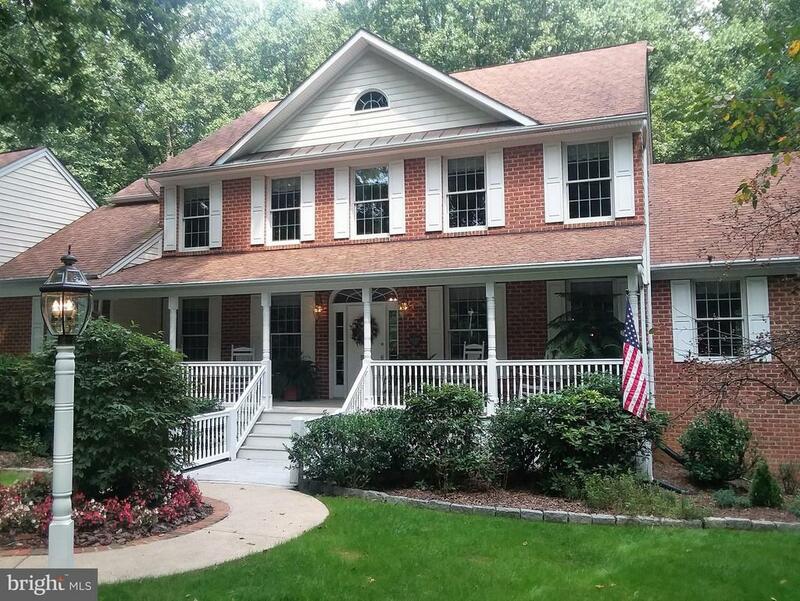 This wonderful colonial with 3 finished levels offers wood floors, 9' ceilings, 2 story family room overlook with floor to ceiling brick fireplace, gourmet kitchen with granite countertops, stainless steel appliances including new 5 burner gas stove & french style fridge; tile floor, beautiful backsplash & large pantry. Master suite with large sitting area, walk-in cedar closet & 2 additional walk-in closets plus private master bath with jetted tub & separate shower. Newly finished basement with walkout offers gorgeous tile floor & recessed lighting plus full bath. 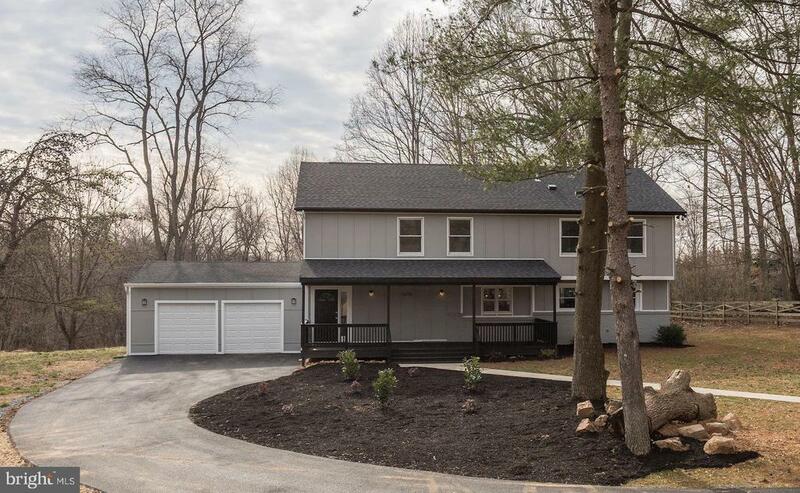 Exterior boasts 2 car attached side entry garage, large deck with both exposed and screened in area allowing the perfect space to admire nature, streams and lake view!" "RARE OPPORTUNITY TO OWN THIS CUSTOM BUILT WATERFRONT SINGLE FAMILY HOME THAT HAS IT ALL: 2 FIREPLACES, GLEAMING HARDWOODS, WET BAR IN ENTERTAINMENT ROOM, GOURMET KITCHEN W SS APPLIANCES, GRANITE COUNTERTOP & DOUBLE OVEN, MASTER BATH SUITE WITH WHIRLPOOL, SEPARATE SHOWER & DOUBLE VANITY, 4 BEDROOMS, 3.5 BATHROOMS, AMPLE CLOSET AND STORAGE, FIRST FLOOR LAUNDRY, 2 CAR COVERED GARAGE, GORGEOUS UNOBSTRUCTED VIEWS OF WOODS AND PINEY RUN LAKE FROM MASSIVE BACK DECK. PRIVACY & PICTURESQUE. WHAT IS REALLY SPECIAL ABOUT THIS IS HOME IS THE VERY SECLUDED LOCATION AT THE SAME TIME IS CLOSE TO EVERYTHING- SHOPPING, PARKS, NEIGHBORS + 150 FOOT PATH TO THE LAKE. BOATING & FISHING ALLOWED (2 BOATS AVAILABLE). LASTLY THE SUNSETS FROM THIS HOME ARE AWESOME AND CAN BE ENJOYED FROM DECK OR KITCHEN!" "To Be Built Corsica at Rustic Rising. 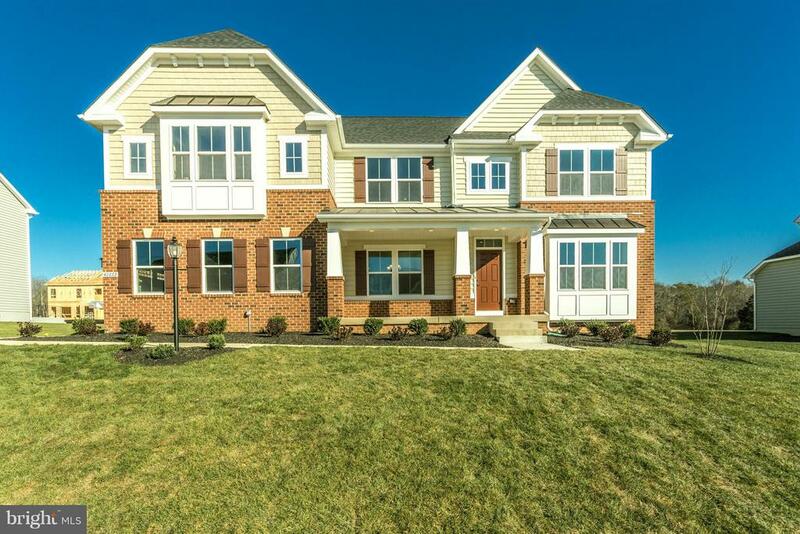 New Homes in Eldersburg, MD. Spacious single family homes on 1/3+ acre homesites, less than 3 miles from Rt. 26 and 32 plus shopping and dining. From the low $500's. Located just off Liberty Road, near Route 32, Rustic Rising gives you convenient access to shopping and dining as well. Other home sites available. Photos representative only. Model hours: Mon 1pm-5pm, Tue-Fri 11am-5pm, Sat/Sun 12pm-5pm." 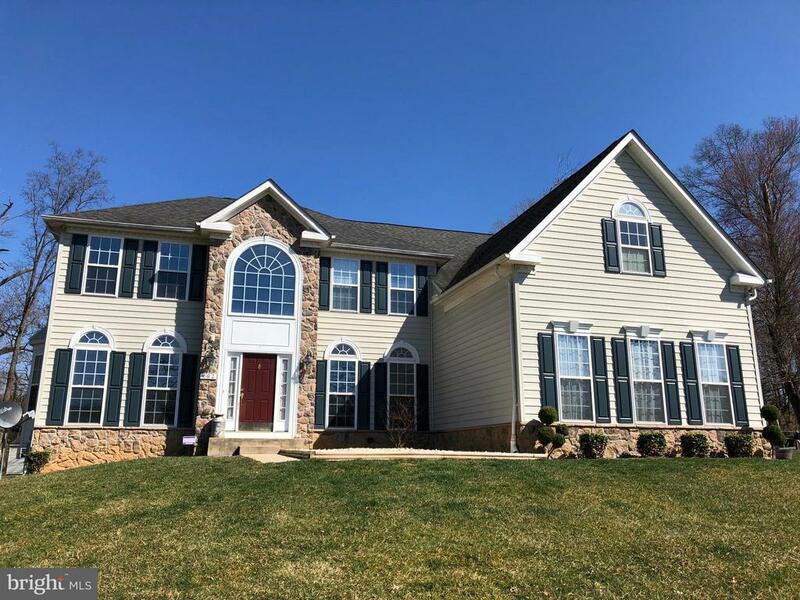 "Amazing colonial style home boasting sundrenched windows, classic crown molding throughout the main and upper level, and stunning design-inspired features! Entertain family and friends in the spacious living and dining rooms. Prepare gourmet meals in the eat-in kitchen complemented with ample cabinetry, sleek appliances, quartz countertops, an island, and a breakfast bar. The family room is conveniently situated off of the eat-in kitchen with a brick profile fireplace. The master suite presents a spacious walk-in closet and a luxurious master bath. Three generously sized bedrooms and a full bath complete the upper level sleeping quarters. The lower level includes a recreation room and storage. Exterior features include landscaped grounds, enclosed porch with soaring cathedral ceilings, fenced backyard, a deck, covered front porch, pastoral views, and backs to trees. Recent updates: Quartz countertops, HVAC, lighting, 6~ rainspout, master bedroom and bathroom paint, crown molding, smoke detectors, and MORE! A MUST SEE!" 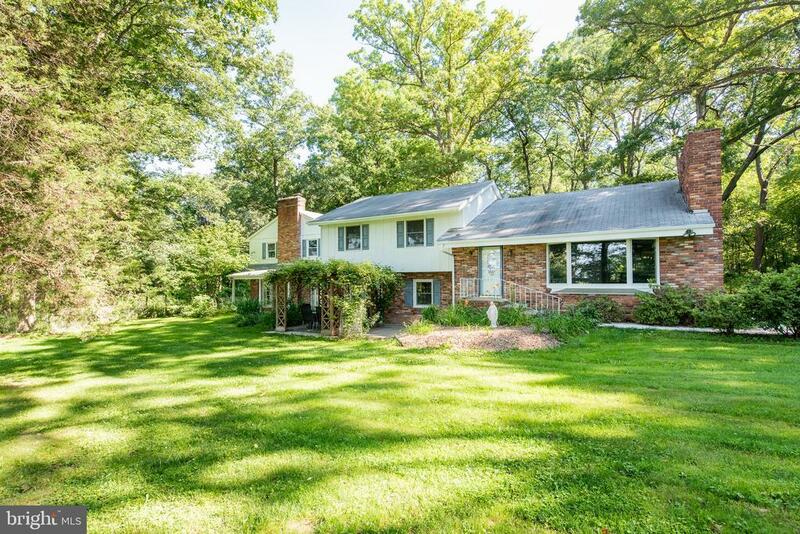 "Beautiful home on over 6 acres of open and wooded area! Gorgeous renovated kitchen done in 2017 with granite countertops, new cabinets, SS appliances and ceramic tile floors. Other recent updates include new roof and garage door in 2018, new well pump in 2017 and some fresh painting. Features also include main level bedroom, walk-out finished basement with bath rough-in, plenty of hardwood floors on main and upper levels, family room pellet stove and much more. Relax on the deck in this private setting on a private road." "Remarkable custom construction shows attention to detail and quality. 4-level split with renovation and replacement of all systems in 2016. 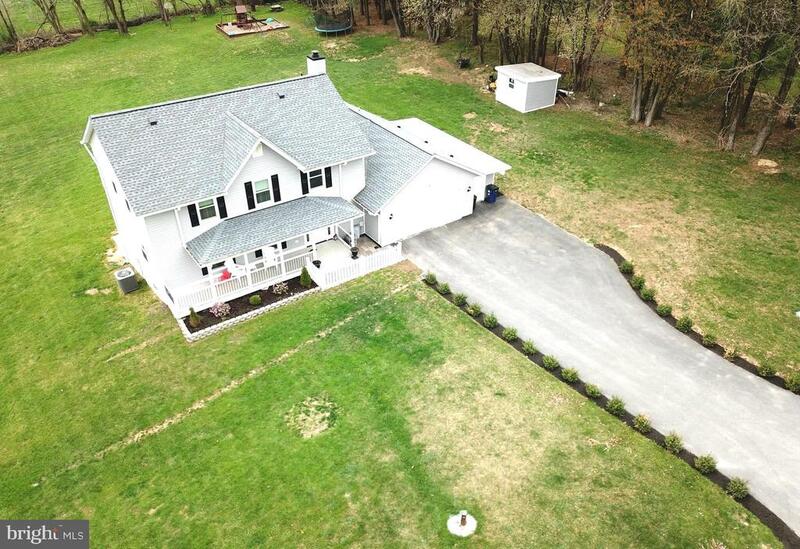 Spacious and private on nearly 5 acres of park-like grounds with no HOA-all within minutes of historic Sykesville. 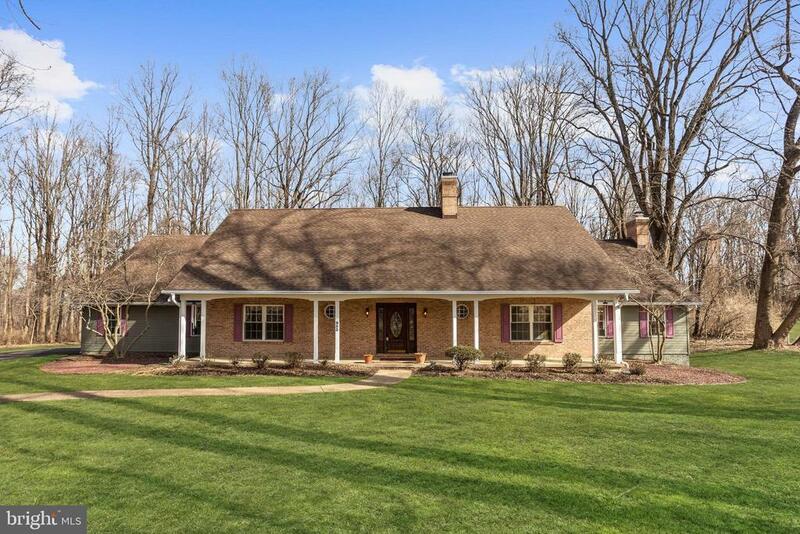 Circular tree lined driveway opens to lovely porch, 2-story entrance foyer. Main level with formal dining room with bay window; living room with masonry wood-burning fireplace, sitting/sun room with propane stacked stone fireplace, large renovated kitchen with breakfast room with access to walk and small porch, stainless appliances and granite counter. Access the kitchen through hallway from oversized 2-car, side-entry garage with wall-to-wall built-in shelving and counter workspace and potting-garden work area. Rear hall with half bath and closets. Upper level with 3 generous bedrooms, master with huge walk-in closet-dressing room and balcony. Both bathrooms fully renovated with custom furniture-quality cabinetry with soft close drawers and quartz countertops. Lower level giant sized family room with wet bar and atrium door to rear covered patio, full laundry room, storage-hobby room. Lowest level is unfinished with full double doors to 2nd covered patio and ample storage space with additional built-in cabinetry and workspace. All equipment in the house is recently replaced to include, oil burner, oil water heater, well pump, conditioner, radon system and generator. Soaring ceilings, unique spaces. You will not find more house in this condition for the money with the luxury of acreage framed by woods. Your own private paradise." 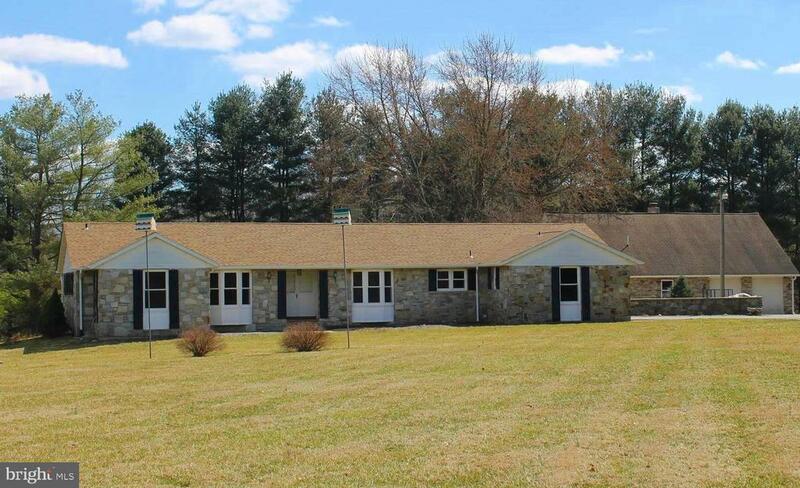 "Completely renovated open concept 4bed/3bath home on 4 acres just minutes from Eldersburg! Kitchen has white custom cabinets, hardwoods, stainless appliances, granite counters and island. Main floor bedroom/office/playroom and full bath. Wood burning fireplace. Mud room area off the 2 car garage. Huge master suite with 2 large closets (one walk-in), double sinks, soaker tub and separate shower. Large upstairs laundry room with granite folding area and loads of storage. Secluded flat property with potential for 2nd lot, stables, and more!" "Approximately 2,500 square feet of finished space, Property is possibly SUBDIVIDABLE. Park Like Setting, plenty of wildlife. House was completely remodeled and updated in 2013. Separate Bedroom and Full Bath in the basement. 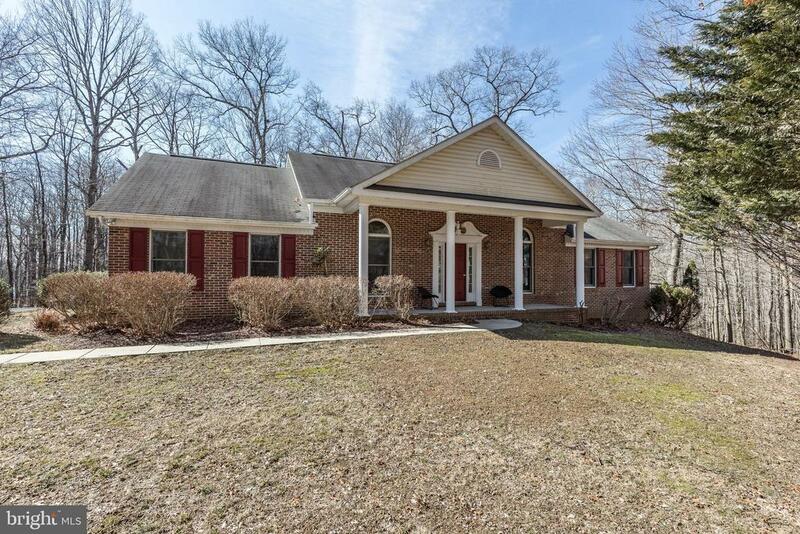 , Quiet dead end street, Privacy, No HOA, Mature Hardwood Trees, Separate Shed. Perfect Place for the Home Based Contractor, Great Commuter Location. Bring Your Horses!" "Welcome to one-of-a-kind lovely renovated 4 bedroom 3.5 bathroom home that shows like a turnkey model home located on a big lot on the dead end of street. All renovations and replacements have been done during 2017-2018 years. First enhancing the appeal of the home is the large covered front porch with Duratek floor, 2- car attached garage with additional closet, huge asphalt driveway, new roof with Low-E glass window architectural shingles with lifetime warranty. The gourmet kitchen with 42 cabinets, black stainless steel appliances, center island, granite countertops and mosaic tile backsplash. Kitchen is open to dining room. Family room with cozy wood burning fireplace, the sliding door from family room leading to the spacious deck and covered sunroom on the deck (with Duratek floor) overlooking rear open space that is perfect to relax on the outside entertainment area with stone outdoor kitchen with built-in grill & sink, fire pit, and play ground for kids. Fully finished basement with the huge great room with sliding door to the back yard. The basement has the hidden office/den (with walk-in closet) that creates a private work space away from family living space. Full size stackable washer & dryer in the separate laundry/mud room on the main level. All bathrooms with ceramic tile floors and walls. Jacuzzi in the master bathroom. Massage shower in the elegant bathroom in basement. Remotely controlled exterior surveillance video cameras: 1 for door bell and 4 on the house. Two sheds: attached and stand alone. Do not miss the opportunity to make this your home!!" 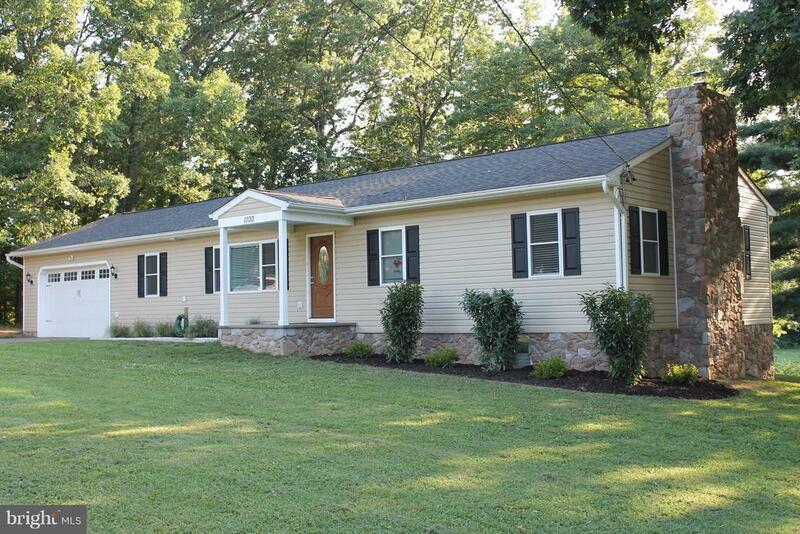 "Charming multi-level home set on 3+ acres is ready to fill w/ new memories! Renovated kitchen w/ vaulted ceilings, all new cherry cabinets, granite counters and stainless appliances accesses deck and patio spaces amongst open back yard w/ above ground pool, duck pond, and fenced pasture w/ stable! Owner's suite w/ double closets & stunning bath update boasting frameless shower w/ floor to ceiling tile! Walkout LL features family room w/ cozy wood fireplace, bonus room, full bath + unfinished spaces. 2018 architectural roof! Freshly painted and new bathroom renovations! Welcome home!" 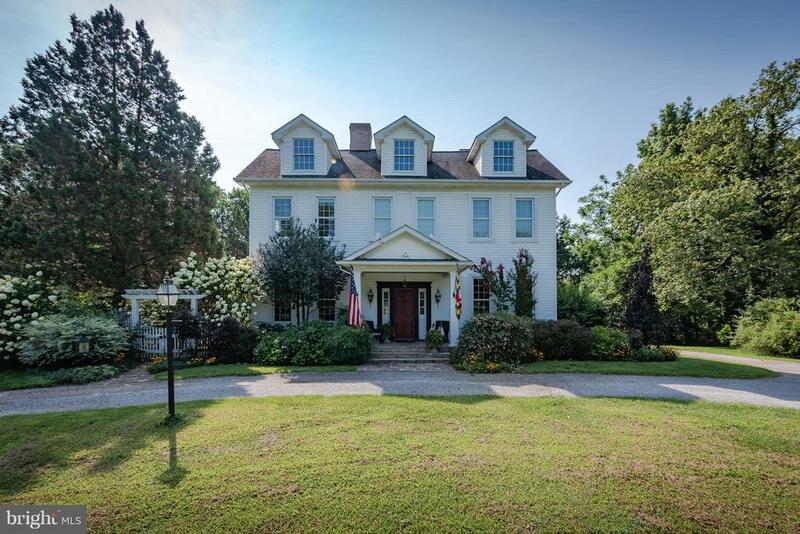 "Charming home is perfectly set on 6.88 acres. 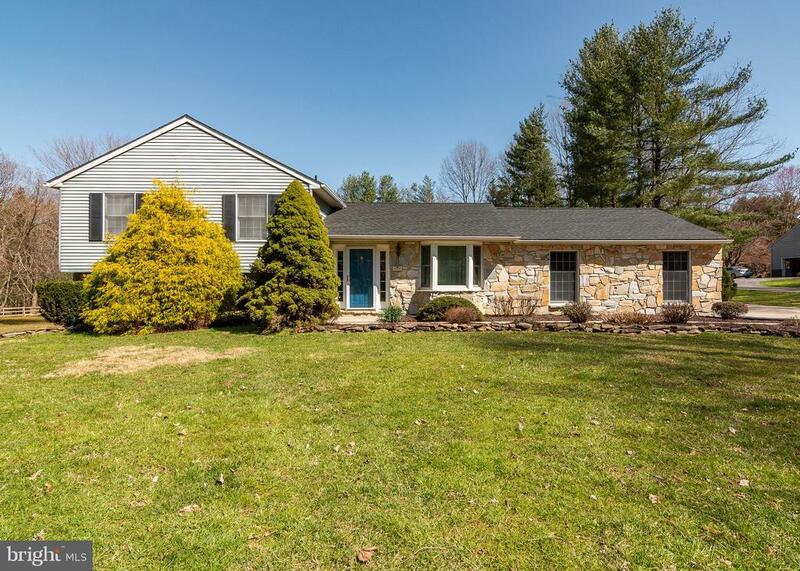 This split level house is completely renovated and remodeled boasting a gorgeous kitchen with granite counters and custom cabinetry. Enjoy spending time in the Living room with exposed beam vaulted ceilings and a cozy wood stove. Updated bathrooms, new ceiling fans and light fixtures throughout. All hardwood floors and stairs refinished. Owner's suite with huge walk-in closet, wood burning Fireplace and adjacent bathroom. New water heater and water neutralizer. In ground pool and patio with gorgeous sunsets makes this property the perfect home for friends and family to gather and make new memories!"